With this Brianna wig, you get what you’ve always wanted. Long layers to start it all off, along with beautiful waves. Long bangs serve as the perfect finishing touch to frame your face and give you the look you’ve been looking for. 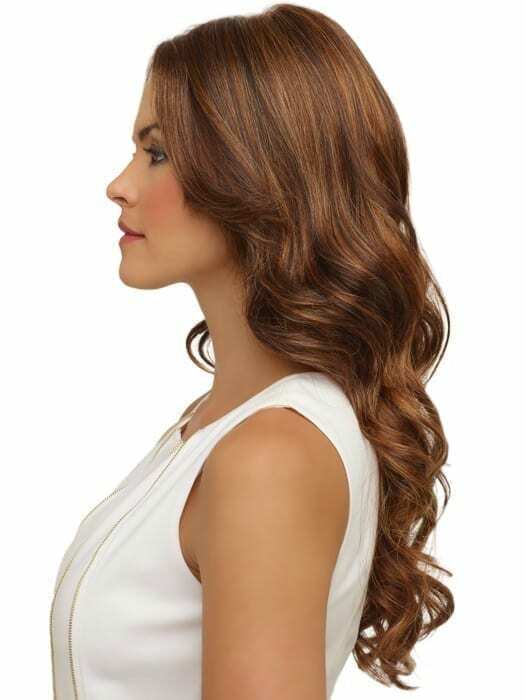 This long layered curled wig is relaxed at the crown and tighter toward the bottom for a modern silhouette. Soft long bangs compliments the beachy waves perfectly. Lace along the front creates the appearance of a natural hairline and allows for styling away from the face. Made with a monofilament top , it apperas you have a natural hair growth from the scalp which adds to the natural look of Brianna.